INCREDIBLE VIEWS WELCOME YOU HOME EVERY DAY! 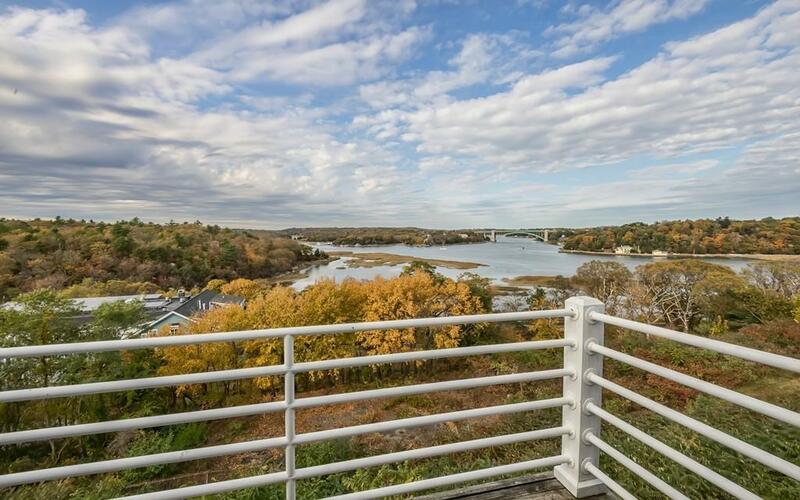 The moment you enter the OPEN FLOOR PLAN kitchen / living room area, a most gorgeous view over the Annisquam River awaits you with the A. Piatt Andrew Bridge in the background. Take in the scenery from your exclusive balcony. Home features large kitchen with granite counter tops, breakfast bar, maple cabinets, stainless steel appliances, LG dishwasher, microwave oven, Jenn-Air side-by-side refrigerator with ice maker, Samsung electric range and wine fridge. Good storage. PARKING: One (deeded, assigned). Professionally managed association and amenities include heated Pool, BBQ area with gas fire pit, Clubhouse, Fitness Center, and more. Close proximity to Stage Fort Park, Commuter Rail and Highway. UNIT AWAITS YOU!